The most laughable local angle to this predilection for praising “appearance” over “ability” goes back to the 49ers drafting Jim Druckenmiller at QB in the first round of 1997 draft. He was 6’ 4″, 241 pounds. After the draft he was praised for being able to drag a car around during training. He looked like an NFL QB. Except that he couldn’t play quarterback. He played in six games and threw for 239 yds in his career. 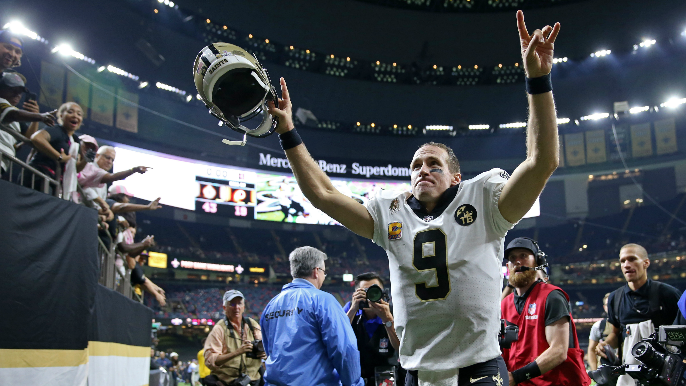 Drew Brees is barely six feet tall, 209 pounds, and this week just passed Peyton Manning with over 72,000 career passing yards, the most in NFL history. He is in his 18th year in the NFL, and still elite. The Yankees just went down to defeat with Aaron Judge (6’ 7”, 282 pounds) and Giancarlo Stanton (6’ 6”, 245lbs). They “look” like great hitters and they definitely hit balls out of Yankee Stadium. Jose Altuve is 5’6”, 162 pounds and has been the best hitter in baseball over the past 5 years with a .330 average during that time. He also hits double digit HRs as well. He is working on leading Houston to back-to-back titles. Somewhere Dustin Pedroia (former MVP at 5’ 9”, 175 pounds) is smiling. In 27 years at KNBR I have listened ad nauseam about how the Warriors needed a big man. They need someone to score inside, they need a big rebounder, they have to find a center. On and on and on, year after year after year. Steph Curry is a two-time MVP, the only player in NBA history to be selected unanimously for this award. He also happens to be the greatest shooter in the history of the sport. He has led the Warriors to a 328-83 record over the past four years, plus three championships. In a sport of giants, he is maybe 6’ 2”. As far as the NFL, it seems that on a weekly basis Tyreek Hill (5′ 10″), Tarik Cohen (5′ 6″) and Matt Breida (5′ 9″) are doing just fine. You can’t tackle what you can’t catch or see as they run past you.